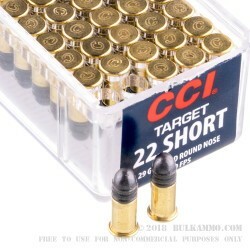 A great general workhorse 22 short ammo for around the homestead or farm, or for plinking at the range, or settling new shooter into the idea of shooting. This .22 short is a classic round that has been drying up a bit of late on the broader market. The short stubby appearance should be no indicator of its capability, as the .22 Short has a surprising amount of utility and versatility across the different chores in a shooter’s life. It is almost exclusively the choice for those who kill their own livestock, able to dispatch a pig or goat or cow with relative ease without suffering, and without the risks to the shooter or surroundings associated with high caliber or higher velocity rounds. 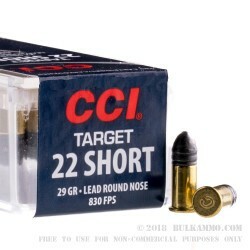 The CCI Target .22 short is a 29 grain lead round nosed load that offers excellent manufacturing protocols and enforces a high end set of standards with regards to the manufacturing and the ultimate accuracy and consistency of the round. 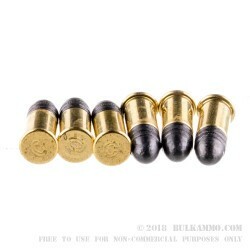 These rounds rarely misfire and, while they won’t generally function a semi-auto, they are perfect for manual firearms like bolt and lever actions. 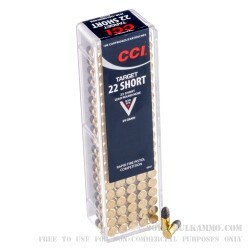 You can also use a .22 Short in a .22Long or a .22 LR (rifles and revolvers), though there are still plenty of reasons to use a dedicated .22 Short for your general low power shooting needs.